in fear, but around in awareness. 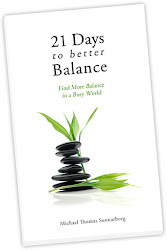 My search for better balance began while I was living in Honolulu, Hawaii, in the late 1990s. A good friend and I were making observations about how the mind, body, and spirit are connected. We discussed how our life experience reflected our state of balance—the more balanced we were, the more serenity and peace we felt. 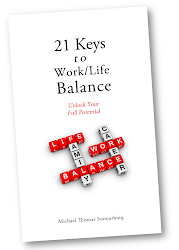 During my years of study I found a recurring theme: Being balanced is natural. Returning to this natural state means removing the barriers to balance within us, many of them created by our own thoughts and behaviors. 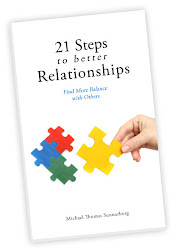 I knew there must be a way to break old patterns and return to a healthier balanced state. 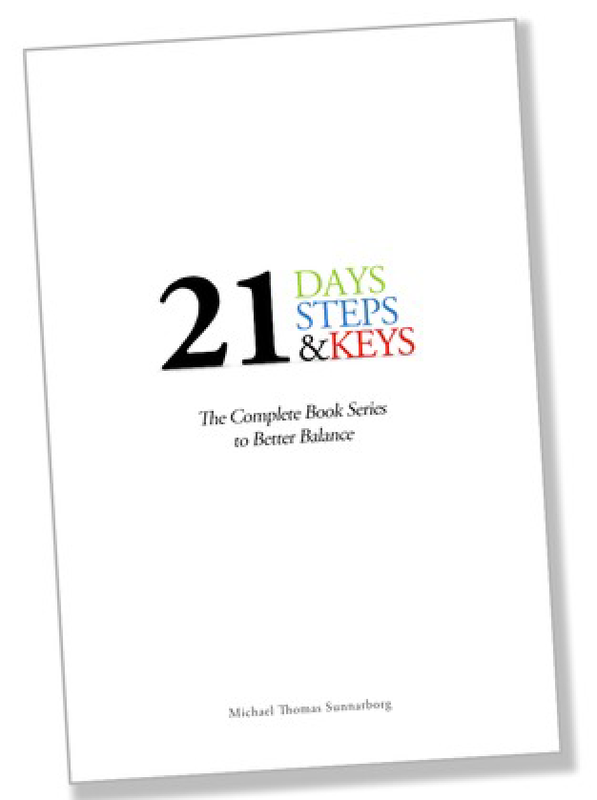 I also realized that in order to find better balance in my life I needed to first become aware of the factors that influenced my state of balance. When I started taking note of the different events, environments, and people that had the largest impact on my balance, I became empowered by the results. Sometimes the best teacher is our own experience. This first step of Awareness started a movement within me. With this "wake up call" came a flood of new information about my patterns of thought—all of which were influencing my attitudes, actions and words. Becoming aware of these influences shifted my energy, and as a response, I began to see the world around me shifting as well. This week I encourage you to become aware of the people, places, and experiences that have the greatest impacts on your sense of balance and happiness. Notice your feelings, follow your intuition, and pay attention to the results. Raising your awareness helps you reconnect with your natural state of balance and reminds you that the power to change your life is always in your hands.